ellehermansen: If I Moved Back to Norway, I Would Live In A Treehouse - Literally! If I Moved Back to Norway, I Would Live In A Treehouse - Literally! 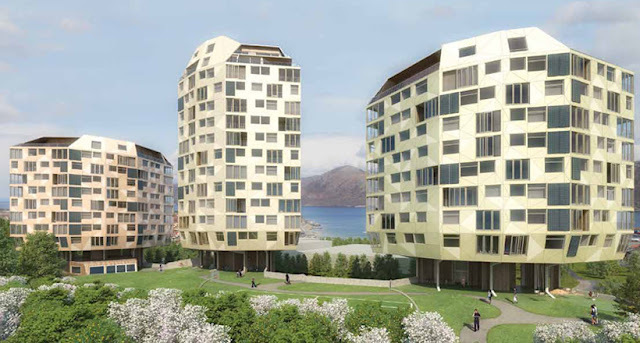 Breaking down the Norwegian text, it says that there will be 3 buildings with 33 apartments. 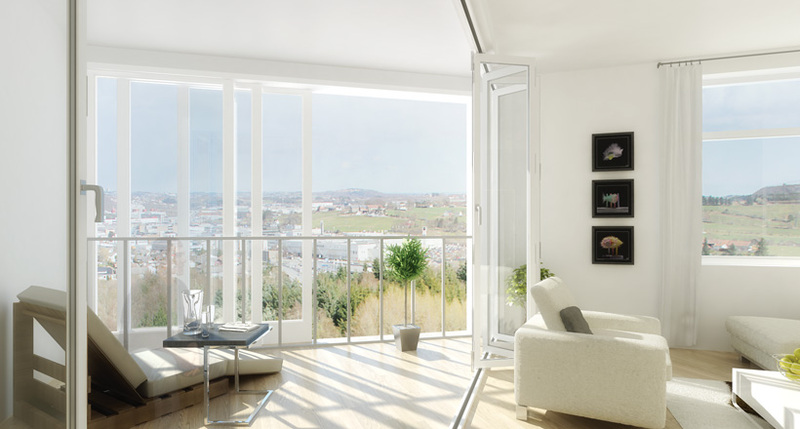 As you can see, you slide open the glass doors on the balcony for nice days, and the greatest thing is that the outer glass is double insulated so you can also enjoy the balcony as an extra room in the winter time! 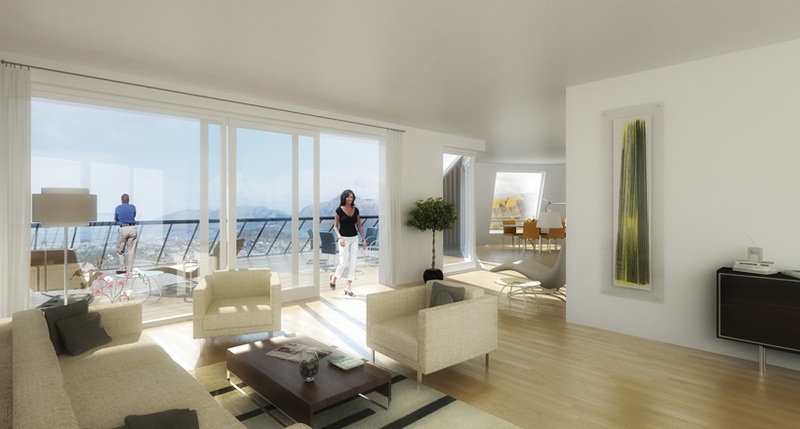 You can check out the layout of these apartments, as there are 3 different layouts of sizes and choices and they are all so lovely! They are designed to float on the tree-trunks. It's a very environmental project, where every building has central heating distributed to the apartments from gas, water and geothermal power from the earth (click here to see a little animated diagram). Also, the gardens will be made as orchards and there will be bicycle parking for every apartment. 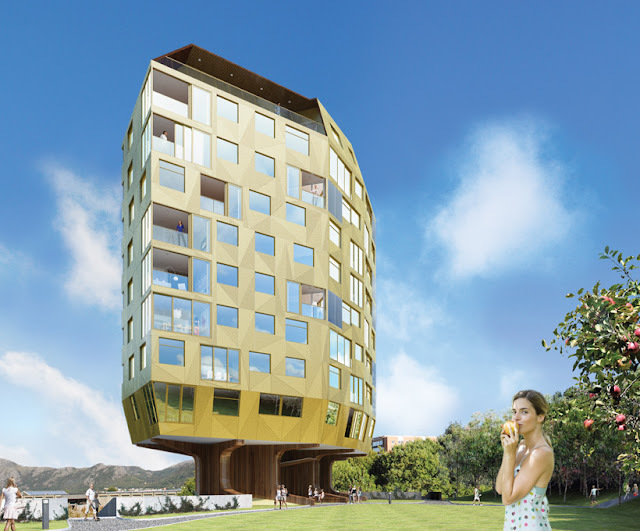 The coolest thing about this project in my opinion, is not only that you live in this environmentally friendly tree, but that the exterior of the buildings change colour with the seasons! Insane! I am in love!!! You can see more about them on their site.